Softcover, 8-1/4 in. x 11 in. 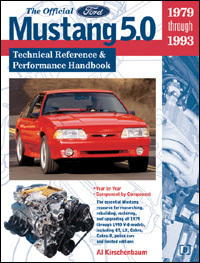 The Official Ford Mustang 5.0 Technical Reference & Performance Handbook is the number-one data source for V-8 Mustang and Capri owners. 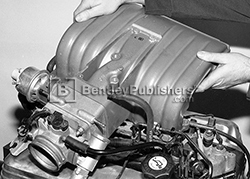 It contains all the data you need to master a V-8 Mustangs major mechanical workings. Most importantly, the Handbook provides you with the crucial keys to your cars performance potential. And it features all the popular treatments and modifications that third-generation V-8 Mustang owners and tuners have found to be most effective. Complete door tag and VIN translations, plus V-8 engine, transmission and rear end codes. A year-by-year (1979-93) review of what Ford built, with a breakdown of powertrain and driveline specs for V-8- Ford Mustang and Lincoln-Mercury Capri models. Restorers! Read this reference guide before you turn a wrench. Critical specs and detailed data on all production 5.0-liter H.O. and GT-40 engine hardware including, blocks, cranks, pistons, rods, heads, cams, intake, ignition, exhaust and cooling systems, as well as all factory-fitted transmissions and rear ends, plus suggested upgrades. Complete specifications on original equipment suspension, braking and steering systems, as well as popular improvement paths and equipment. 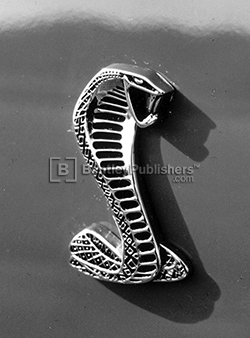 Comprehensive coverage of the limited-production 1993 Mustang Cobra and the already rare 1993 Cobra R-Model. A complete review of Fox-body Mustang police cars, with detailed discussions of their Special Service systems and equipment. Parts and systems replacement references include interchangability, conversions, and swaps. Hands-on tips and tricks reveal low-cost horsepower sources. Analysis of the most effective approaches to improving a 5-liter Mustangs output: supercharging, nitrous-oxide, turbocharging and increased displacement. 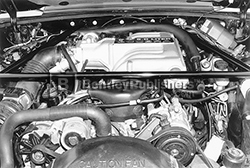 Owners of 5-liter 1994-95 V-8 Mustangs and 1996-and-later Explorers and Mountaineers will find applicable cross-over data in the coverage of Ford's fuel-injected small block V-8. Al Kirschenbaum has worked as Car Craft magazines feature editor and Hod Rods technical editor. He launched Petersen Publications Musclecar Classics. Al has been involved with performance cars, parts and competitions and in reporting on them in print for more than thirty years. For additional technical content for this book, visit our online technical library by clicking below. Fig. 29-10 Adding strut-towers-to-firewall bracing can help stiffen the front end and the entire car. Fig. 20-2 H.O. upper intake section with EGR sensor, throttle body, throttle position sensor and EGR valve attached.